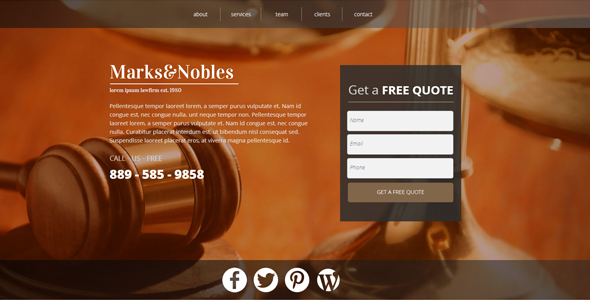 This Muse theme is suited for a law firm bureau but can easily be edited into a theme for a corporate, advertising, media, design, company, agency, etc. Photos are not included in the final download, they are for example purpose only! This entry was posted in landing, muse-templates and tagged attorney, business, company, judge, justice, landing page, law firm, lawyer, muse, order, theme by Acty. Bookmark the permalink.